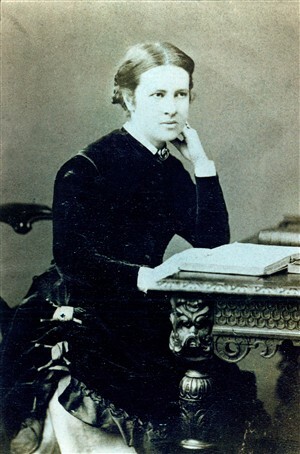 Elizabeth Garrett Anderson was born on 9th June 1836 at Whitechapel, London to Newson Garett and Louise Dunnell. She was their second child and together they had nine children. Newson Garett was a merchant of Aldeburgh, Suffolk. Elizabeth was tutored at home and at a private school. In 1860, Elizabeth resolved to study medicine. In those times, it was unusual for a woman to take up medicine and was even regarded as indecent by the older generation. Elizabeth got more or less irregular instruction at Middlesex Hospital, London. She was not allowed to be full time student at the hospital or any other medical schools where she had applied. She studied anatomy privately at the London Hospital, University of St Andrews and at the Edinburgh Extra-Mural School. Elizabeth had to struggle a lot to get a diploma that will enable her to practice medicine. She was not allowed to appear for examinations in institutions like London University and other schools where she had applied. Since she was the only female student, she was barred from participating in the operating room. Also, when she stood first in the examinations she was prohibited from even attending the classes. She was allowed to enter for the Licence of Apothecaries Hall by the Society of Apothecaries and in 1865, she got the license. This license allowed her name to be entered on the medical register. Elizabeth had become the second woman after Elizabeth Blackwell to qualify as a doctor. She was, however, the first women in Britain to qualify as a doctor. In 1866 Elizabeth was appointed as the general medical attendant to St Marys Dispensary. This dispensary was an institution based in London established for providing medical help to poor women from qualified female doctors. This dispensary was later on developed into the New Hospital for Women. The New Hospital was re-named as Elizabeth Garrett Anderson Hospital after her death. Elizabeth obtained the University of Paris degree of MD in 1870. As a physician, she also visited East London Hospital for Children. In 1870, Elizabeth married James Skelton Anderson who owned the Orient Steamship Company with his uncle, Arthur Anderson. She did not give up her practice after marriage Elizabeth and James together had three children, Louisa, Margaret, and Alan. Margaret died early after suffering from Meningitis. In 1873, she became a member of the British Medical Association and was the only woman there for 19 years as the other members objected to the inclusion of more women. Elizabeth worked hard to develop the New Hospital for Women and the creation of London School of Medicine for Women. In 1874, she was elected as the president of the East Anglian, branch of the British Medical Association. In 1874 itself, Elizabeth became a lecturer st the London School for Medicine for Women, founded by Sophia Jex-Blake. Elizabeth had met Emily Davies on her visit to London. Emily had strong opinions about women’s rights. Emily introduced Elizabeth to other feminists and together they formed a women’s discussion group known as the Kensington Society. Then these two also stood for election to the London School Board in 1870 where Elizabeth received highest votes. In 1893, she contributed to the establishment of the John Hopkins Medical School. In 1866 Elizabeth along with Emily had filed a petition asking that women should be allowed to vote but this petition was rejected by the Parliament. The petition was however supported by Liberals like John Stuart Mill and Henry Fawcett. By the 1870 Education Act, allowed women to vote and also serve on School Boards. Elizabeth was a member of the National Society for Women’s Suffrage in 1889 but never played an active role. She became active after her husband’s death in 1907. In 1902 Elizabeth retired and moved to Aldeburgh and in 1908, she became the mayor of Aldeburgh and the first female in Britain to be elected as a mayor. At the age of 72 years, she was a member of the militant Women’s Social and Political Union but she left the group in 1911 as she was against their arson campaign. In 1917, Elizabeth Garett Anderson died and was buried in Aldeburgh. She was indeed the pioneer in England for women in the field of medicine.